SKU: M5SOFA6. Categories: Outdoors, Aluminium Furniture. 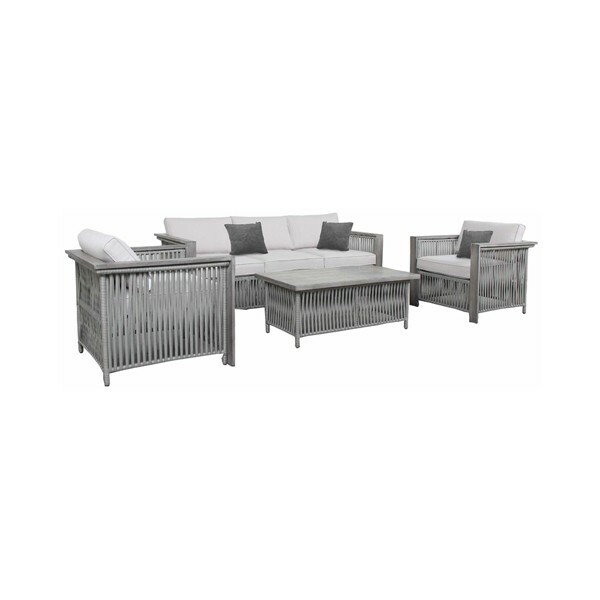 Tags: malta, Outdoors, sofa set, table, Tortora. This Sofa Set features modern design that complements any outdoor setting. This set includes two sofa segments and a table.Constructed from durable weather resistant material and the cushions are upholstered to withstand the summer sun. With this set, you will have plenty of seating space for entertaining and for enjoying the outdoors.